Finding a suitable GPS tracker is like finding a needle in the haystack. 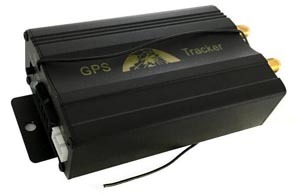 Thousands of manufactorers a more favorable than the other are telling you "our gps tracker is the best and cheapest". But unboxing and setup often comes a rude awakening. Let us give us a piece of advice which trackers can be used if you don't really want to spend much money. This Concox Cothinking GT02A clone (compatible with our FREE GPS terminal tracking platform) is one of the cheapest GSM and GPS antenna design vehicle tracking terminal in the market (jump directly to where to buy). Using GSM frequencies 850, 900, 1800 and 1900 MHz you can use nearly all over the world (find a suitable SIM card) The supported power supply voltage range is from DC 9V up to 24V so this tracking terminal can be used in cars, motorcycles and of course trucks (often 24V power supply). This terminal does not offer an internal backup battery so you have to plug it directly to ignition or vehicle battery. The dimensions of 90 x 45 x13 mm makes it easy to hide this GPS terminal. A cheap tracker can never compete with a high quality GPS tracker like teltonika or ruptela. Using a low-cost tracker can mean that the locator offers inaccurate position data, abnormal behaviour and even complete firmware crashes. A few days ago we received a package including 5 GT02A tracker clones from one of our clients asking us to setup the trackers. But we were really surprised, good hardware quality at first glance. Nothing special, but all you need. Amazon offers this tracker for ~ £12 per piece with free delivery in UK (where to buy). If having trouble just throw it in the garbage and buy a new one. The 4 screws which are fixing the case are already removed. Just open the case, put your SIM card in and connect the power supply. The 3 LEDs will start flashing a few seconds later. If you have removed the SIM PIN before you can now already start the setup. The quick setup for using a GPS tracking server is not really complex, you need only 4 text messages. Simply send them by your smartphone. For setup instructions take a look at our article alternative TK102 or GT02A clone setup for GPS tracking server. FREE GPRS mobile internet traffic for your GPS tracker - Many of our clients are spending to much money on their mobile internet services for GPS trackers. In UK and US you can tracking your GPS tracker without fees. Find our more in our article FREE GPS tracker sim card in UK or visit our article about Freedompop free data and phones services in the USA1. And how can i track and locate my vehicle? Our web based GPS tracking platform offers monitoring your GPS tracker for free. For watching a demo just enter our FREE GPS tracking platform demo account. If you would like to use the platform you can register your FREE GPS tracking platform account now. The my-GPS.org platform offers live tracking and monitoring, track history, geofences and many more features. Keep it silly and simple. 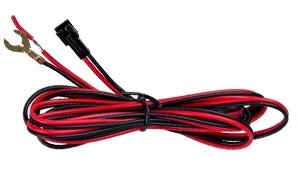 No annoying cables, you only need to plug a simple power cord to the car battery, power supply or ignition. Because the GT02A doesn't offer an internal battery the tracker is offline in the moment power is interrupted so you should connect the tracker directly with battery. If you need tracking only in movement you can of course plug the tracker to the ignition only. There are a lot of telecommunications companies and mobile operators in the market. Finding a cheap and suitable with good GSM and network coverage can be difficult. We have gathered some mobile operators for you to make your choice easier. Take a look at our article international SIM cards for your GPS tracker. Where to buy this GPS vehicle tracking terminal? You will get best prices, that is no secret, at Amazon for ~ £12 per piece with free delivery in UK1 or for $17 with FREE Shipping in the USA (Amazon.com)1. If you prefer eBay you can order it at ~ USD 17 (~ £14) with free international shipping (shipping UK, US and international)1. Okay, we must admit that a 12-17 USD tracking terminal is really cheap, maybe too cheap. 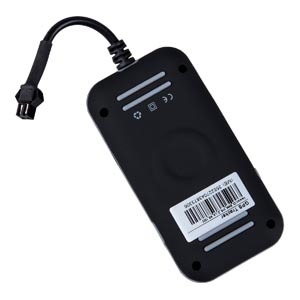 Take a look at this GPS vehicle tracker terminal GPS103B / TK103B with remote control and relais. 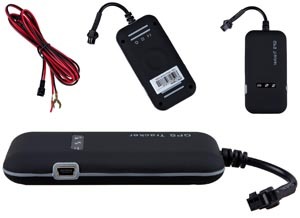 With this cheap vehicle tracker terminal TK103B at eBay (~ 30 USD) you can start vehicle tracking with internal backup battery to save your car battery. If you prefer a middle class GPS tracking terminal you should take a look at our middle class GPS tracking terminals. For serious GPS tracking you should have a look at our section high end and professional GPS tracking terminal s.